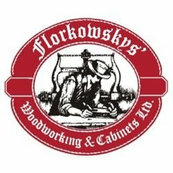 We used Florkowsky's for our kitchen and bathrooms when building our home. We called on them again to build our bar and recently a Murphy bed wall unit four our home office/guest room. All the work was done to perfection from the initial consult to completion. I would recommend them for anyone looking for that "perfect fit & design". All work was done in a timely and professional manner.